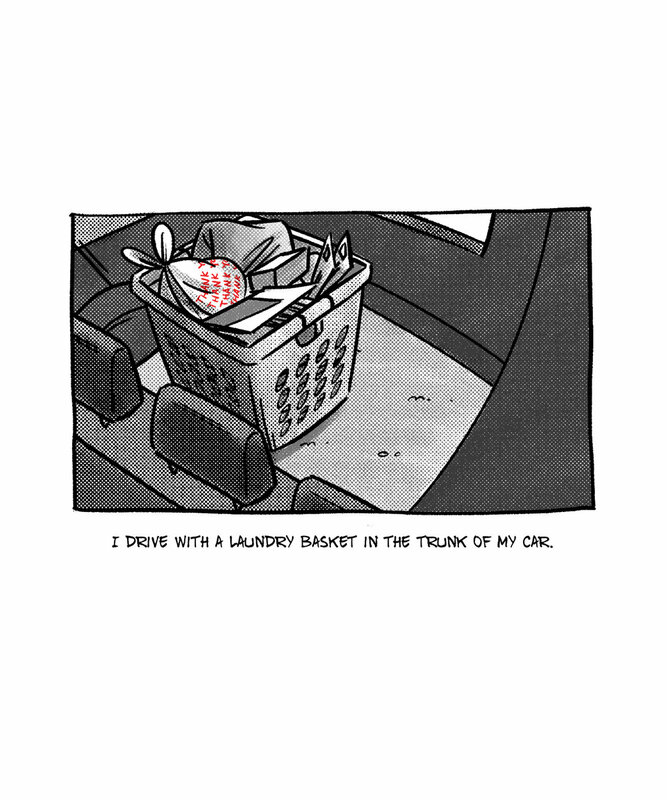 Basket is a short comic written and illustrated in September 2018. 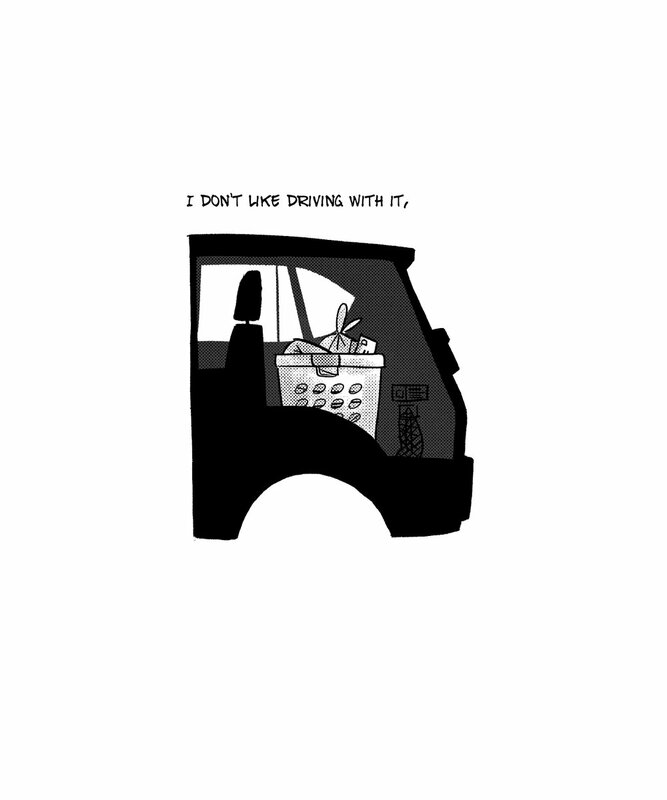 Prior to moving, I kept a laundry basket full of miscellaneous items formerly living in my apartment in my car in an effort to keep my home show-ready. As the basket slid around the back of my car, I wondered what other things I was keeping with me until they found their new homes, and whether or not they needed to be kept at all.